Here on our page you can find out a lot about us. That’s good. But besides you knowing what we are about, it’s important that we who work with Interfaithfulness in various capacities also have a grasp of what we are up to. That’s why I was so happy to find this brilliant grid written two thousand years ago by the Jew, Saul of Tarsus, a.k.a. “The Apostle Paul.” Here he outlined what he was about. It’s an outline all of us can use with profit. We will not boast beyond limits, but will boast only with regard to the area of influence God assigned to us, to reach even to you. . . . Our hope is that as your faith increases, our area of influence among you may be greatly enlarged, so that we may present our good news in lands beyond you. . . For it is not the one who commends himself who is approved, but the one whom the Lord commends. (2 Corinthians 10:13-18 ESV). 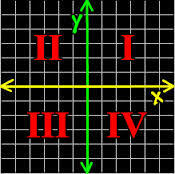 The four quadrants of this grid can go far in helping you figure out what your own life is about. Each point leads to a question you need to answer. “We . . . boast in the area of influence God has assigned to us.” The fancy theological word for this is one’s “call,” and even one’s “vocation,” which means the same thing. What is it that God has called you to do? You should know that, and lay claim to it without embarrassment. If someone ask you what you are about, you should know and own up to it. What is your assignment ? That is, what are you about? “. . . to reach even to you.” There is a public you are meant to serve in the context of this vocation. Precisely WHO is it that you are called to serve? Who is your public? “Our hope is that as your faith increases, our area of influence among you may be greatly enlarged.” The goal of all of this is expanding influence. You need to know what success looks like. So ask and answer this question: What God-given influence are you seeking to expand? “For it is not the one who commends himself who is approved, but the one whom the Lord commends.” Who are you seeking to please? In my life I have too often gotten distracted by the disapproval of others, or by their withheld approval. This was a big mistake. The one who I seek to please is God himself, even if others do not “get” or appreciate what I am doing. So ask and answer this question: Whose approval is your bottom line? Who is your public? We serve Jews and Christians, and through our HaB’er Initiative, we especially focus on Jewish households, Jewish families, and intermarrieds. What God-given influence are you seeking to expand? We want to take people deeper into the three-stranded cord of engagement with their religious tradition, relationship with God, and engagement with a more Jewish Jesus–certainly more Jewish than the cliché that he had a Jewish mother and was raised in a kosher home! We want to upgrade their spirituality and also their relationships with others in their lives. Whose approval is your bottom line? Actually, the answer to that one is “the God of Israel.” We believe he has called us to do this work, so he is the one whose approval we seek. Perhaps these four questions will help you gain clarity on your own life and calling. We sure hope so. Just take out a piece of paper and start answering these questioins! You’ll be amazed at the clarity you gain! *When we talk about “a more Jewish Jesus,” we are not simply talking about him being raised in a kosher home, or any of those clichés. We are talking about a more Jewish Jesus than most people have ever considered.